Once hailed as the “Underground Railroad King,” Jermain Wesley Loguen was born on February 5, 1813, into slavery in Davidson County, Tennessee. Known then as “Jarm Logue,” he was the son of David Logue, his white master, and an enslaved woman named Cherry. Jarm stole his master’s horse in 1834, escaped to Canada West where he farmed for a few years. In 1837 he went to Rochester, New York, finding employment as a hotel waiter. He attended Beriah Green’s abolitionist school at Whitesboro, New York, though he did not graduate. While there he started a Sunday school for African American children in Utica. He married Caroline Storum of Busti, New York, in 1840. They had six children, one of whom (Amelia) married Lewis Douglass, the son of Frederick Douglass. ​The Loguens moved to Syracuse in 1841. Jermain taught school and became a licensed preacher of the African Methodist Episcopal Zion Church, serving congregations in Syracuse, Bath, Ithaca, and Troy. He was as much an abolitionist activist as a minister and became one of the nation’s most active agents of the Underground Railroad. He assisted the Rev. Samuel J. May, a Unitarian clergyman in Syracuse, with his Underground Railroad work but gradually took the lead. The Loguen house near the intersection of Pine and Genessee Streets was a principal station or depot on the Underground Railroad. Loguen placed letters in the Syracuse press openly discussing his activities and asking for donations to assist fugitives. Loguen is said to have aided more than 1500 freedom seekers. Perhaps the most celebrated case in which Loguen was involved took place on October 1, 1851. A runaway by the name of William Henry was arrested under the Fugitive Slave Law of 1850. 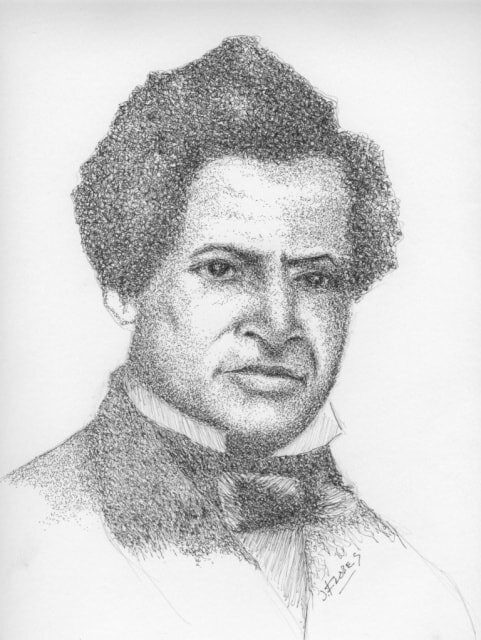 Loguen joined a committee of abolitionists, black and white, that rescued Henry (known as “Jerry”) and assisted him in escaping to Canada. After the Civil War, Loguen took an interest in the welfare of the newly freed people and continued his church work. He was elevated to the rank of bishop of the AMEZ denomination in 1868, responsible for the Alleghany and Kentucky Conferences. In 1872, Loguen was about to take up a mission assignment to the Pacific Coast when tuberculosis forced him to resign and seek a cure at the mineral springs in Saratoga Springs, New York. He died there on September 20, 1872. He was buried in Oakwood Cemetery, Syracuse.